YouthChooZe - Veled vagyunk teljesek! 2017. 04. 29. — 2017. 05. 07. 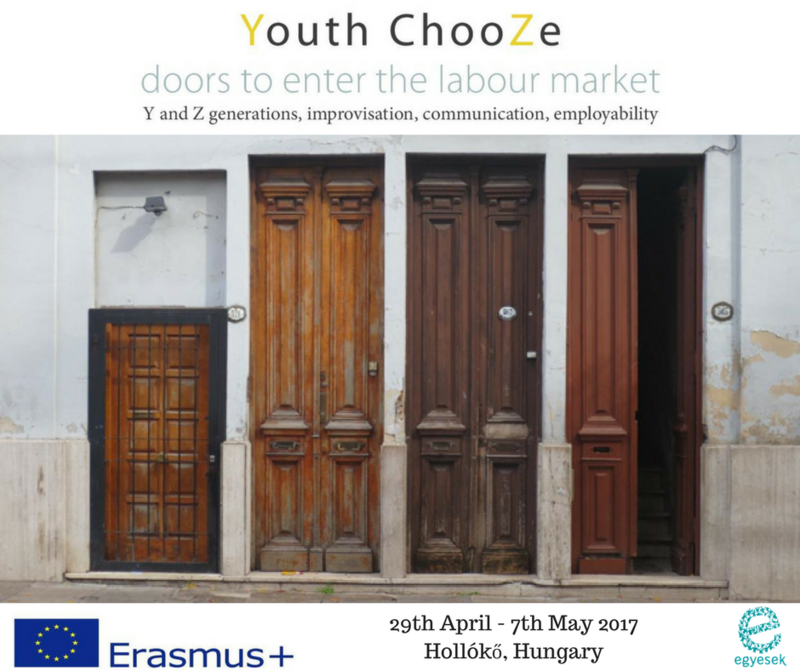 Célcsoport: The aim of Youth ChooZe is to train the communication skills of youth workers and empower them to increase the chances of employment of young people. We will train communication skills through applied improvisation: active listening, observation, body languge, the use of physical space and voice, sensing others, creating and maintaining connection in communication, practicing different communication styles, forming your message and getting it through, communication in a team. We will focus on the characteristics of the communication of Y and Z generations and will put it into the context of employability. We will also explore employability skills: matching strengths with interests, improving sense of initiative and creativity, enhancing networking, reading comprehension of job ads, writing and tailoring CV & cover letter, designing creative CVs, acting on a job interview, learning about social entrepreneurship and much more. We will also provide space for sharing tools and methods that foster the conscious choice of youth how to get engaged with the labour market.